The political and dating industries share a common goal: to narrow your choices down to the one candidate that makes the most sense for what you want. Particularly in the political arena, the ads target those people who would be most likely to support a particular cause or candidate. 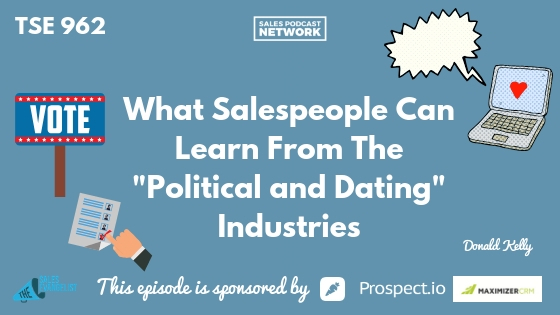 On today’s episode of The Sales Evangelist, we’ll discuss why sellers should operate like the political and dating industries and stop trying to serve everyone. It isn’t a winning strategy. You may be thinking that you already understand sales segmentation and pursuing the ideal customer. Just as we do in dating and politics, we have to understand with selling that we can’t please everyone. Selling is a game of elimination just as the other two industries are. Frequently, politicians who try to stand for everything and who cast their nets too widely fail to appeal to anyone. It’s difficult to trust those politicians who try to capture everyone because you know it’s impossible for them to accomplish everything they’re promising. False promises do not promote trust. Just as we swipe left or swipe right in dating apps to approve or eliminate a candidate, we must narrow down our focus as sellers. Politics sometimes take a nasty tone, and I’m definitely not suggesting we adopt that approach. We do, however, have to develop some intensity in identifying our ideal customer. Human nature often deters us from excluding anyone. In sales especially, we don’t want to turn away a possible customer. Our commission depends on those customers. We sometimes become people pleasers. We want everyone to be happy and tell other people about our business. Patagonia isn’t trying to appeal to every single person who enjoys outdoor hiking. Neither is Eddie Bauer. They focus on those people in high-end markets who can spend whatever they want on hiking gear and people who share their values. They focus on people who support an eco-friendly recycling mentality. Our sales cold outreach should have the same mentality rather than trying to blast every single possible candidate. Find the people who truly believe in you. Even here at The Sales Evangelist, we’re adapting our website to meet the needs we have realized that our audience is looking for. The moment we focused on new and struggling salespeople, we saw positive results. 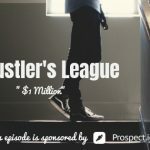 It’s possible, too, that your prospect pool may widen. You might focus your software on a single industry like finance. Once you’ve adapted that well, you shift to another industry like the medical industry. Very often, small companies want to grow quickly so they cast a wide net. Aside from the fact that it doesn’t work well, it’s expensive because you’re focusing resources on people who will never do business with you. Explain what you can do and who you can help.